If Facebook’s pilot program in San Jose, Calif. that’s slated to go live later this year successfully offers inexpensive IPv6-only nodes with WiGig chips on lamp posts, utility poles, and other street furniture and structures that will broadcast Internet using unlicensed 60GHz spectrum, it could prove to be a boon for many wireless industry contractors when carriers and internet service providers take advantage of the technology. 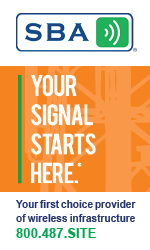 At its F8 developer conference yesterday, Facebook announced the Terragraph connectivity project that uses terrestrial antennas that will employ WiGig which uses the 60 GHz frequency band, and although it has difficulty penetrating walls, it can travel about 800 feet, offering street level connectivity in urban areas, and be able to connect buildings to the internet. WiGig, publicly available since 2010, can handle transmission rates of up to 7 Gbits that will be translated to Wi-Fi. The open WiGig standard allows third-party hardware to be easily built with Terragraph-friendly antennae, including phones, cars, and home Wi-Fi routers. Facebook’s planners also state that Terragraph could be installed outside a high-rise to offer connectivity to a whole building. 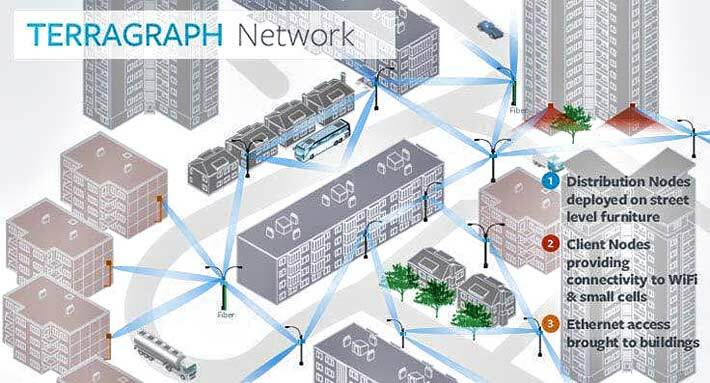 Terragraph is designed to supplement existing networks. Terragraph will likely compete with other broadband offerings, such as Google Fiber, as it says it plans to provide Internet access to the masses. Facebook also announced a new program entitled ARIES (Antenna Radio Integration for Efficiency in Spectrum), a single-base station with 96 different directional antennas. By processing subtle differences in what each antenna picks up, Facebook engineers said they were able to eliminate noise and support as many as 24 different devices on the same band of spectrum. When complete, Facebook hopes ARIES will allow for unprecedented amounts of data transmitted over a given spectrum band. 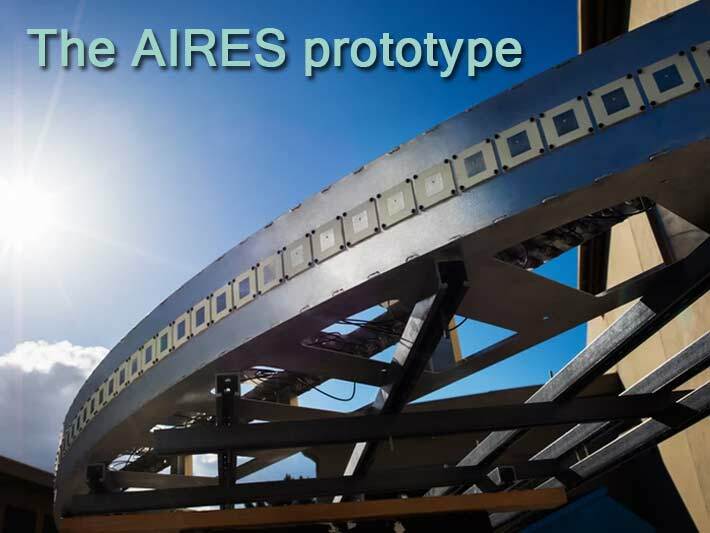 Facebook says its ARIES prototype shows 10x spectral and energy efficiency gains over traditional 4G systems. Although ARIES will work in urban areas, Facebook says its focus is on making these “massive MIMO systems” work well for rural areas as well by using ARIES base stations in urban areas to broadcast out to the rural areas around population centers and provide a backhaul infrastructure to provide access to areas further away. Facebook knows that nearly 97 percent of people live within 25 miles of a major city, and it’s goal is to develop low-cost, non-invasive, more efficient cellular networks that will access those people. Facebook says that it does not intend to build the networks. Rather, it is going rely on carriers and Internet service providers to make these projects successful. As chief technology officers of carriers at the Competitive Carriers Association conference in Nashville were discussing how unlicensed spectrum was important in the delivery of services yesterday, Facebook was almost simultaneously unveiling Terragraph and AIRES.